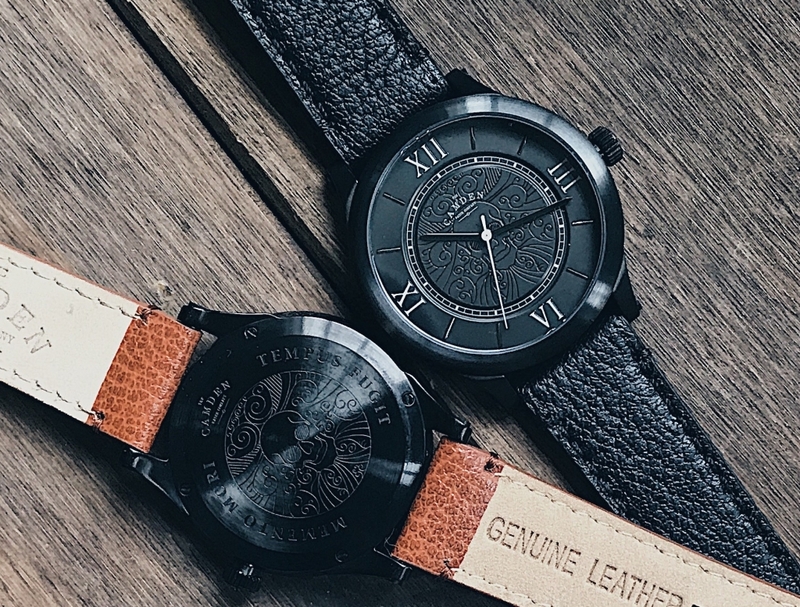 We’ve already applauded the Camden Watch Company for creative attractive, London-inspired timepieces that don’t break the bank but we’re particularly fond of the brand’s latest direction. Apparently inspired by the Victorian’s love of all things morbid, the No.253 Memento Mori digs up the past and delves into morose world of Memento Mori, or for those of us that weren’t schooled at Hogwarts: the medieval Latin Christian theory and practice of reflection on mortality. 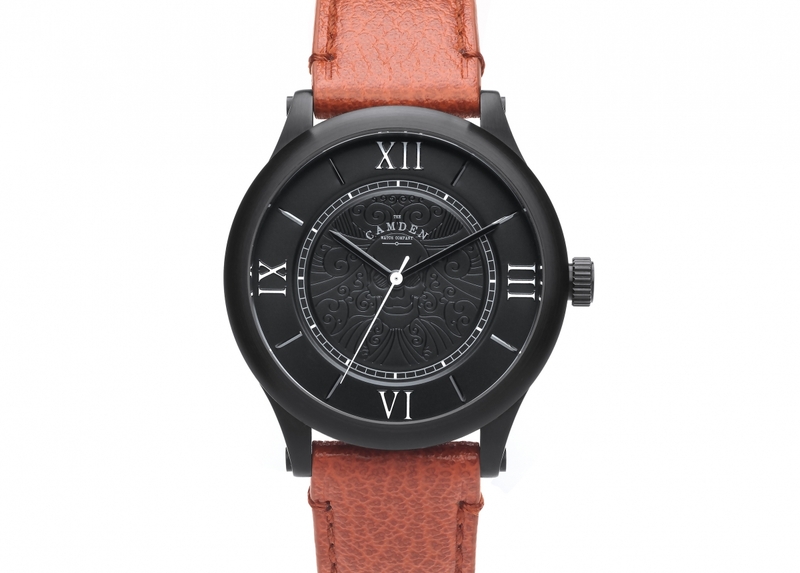 The watch itself features a clean black face with a skull motif intricately engraved behind the hands. 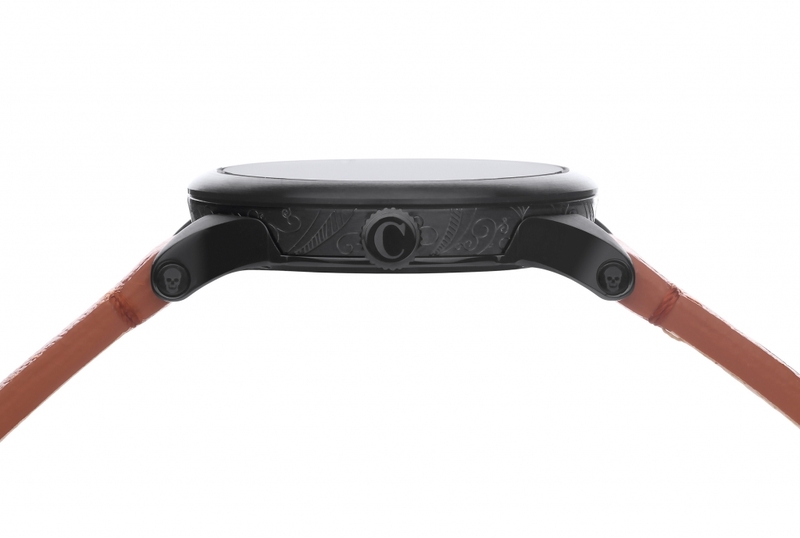 The case details graceful etching on its sides, with the back replicating said skull design, finished with the phrase ‘Memento Mori’ and ‘Tempus Fugit’ on either side. According to the chaps at the Camden Watch Company, the intricate skulls and skeletons were popular on public clocks dating back to medieval times and frequently seen on timepieces during the Victorian era. The small engravings often served as a reminder that death was inevitable and to live life to the fullest. Popular phrases etched onto jewellery included Ultima Forsan or “perhaps the last”, which often related to the last hour or minute of someone’s life, and Tempus Fugit, which boradly means “time flees”. Thankfully, the £175 price tag shouldn’t cause too many heart attacks.